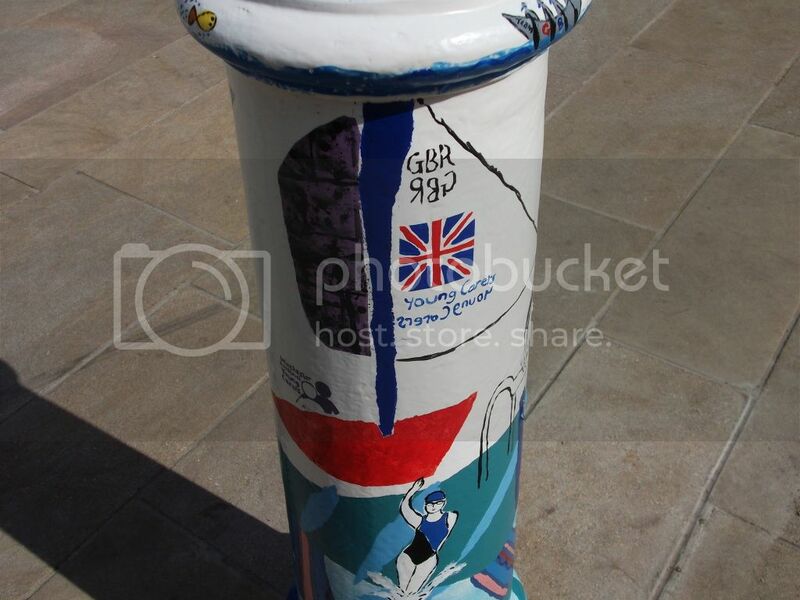 The Olympic torch has already passed through, but Winchester is still getting excited for the Olympics. 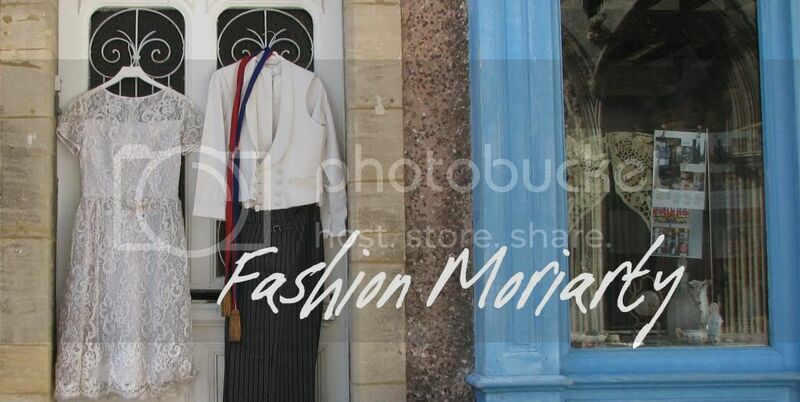 The whole city is covered in multi-coloured bunting and every shop window you look in has something either sport-related or a patriotic red white and blue colour scheme. 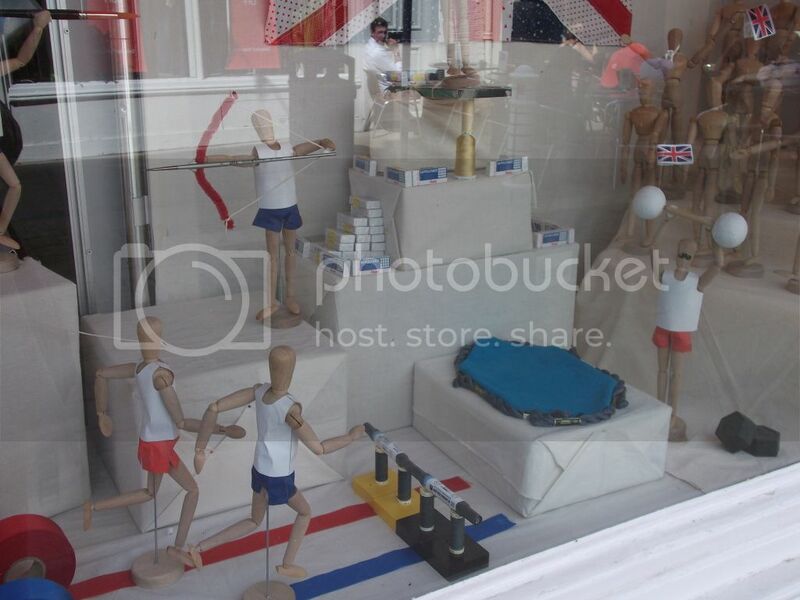 Montezumas has this medal-themed display. 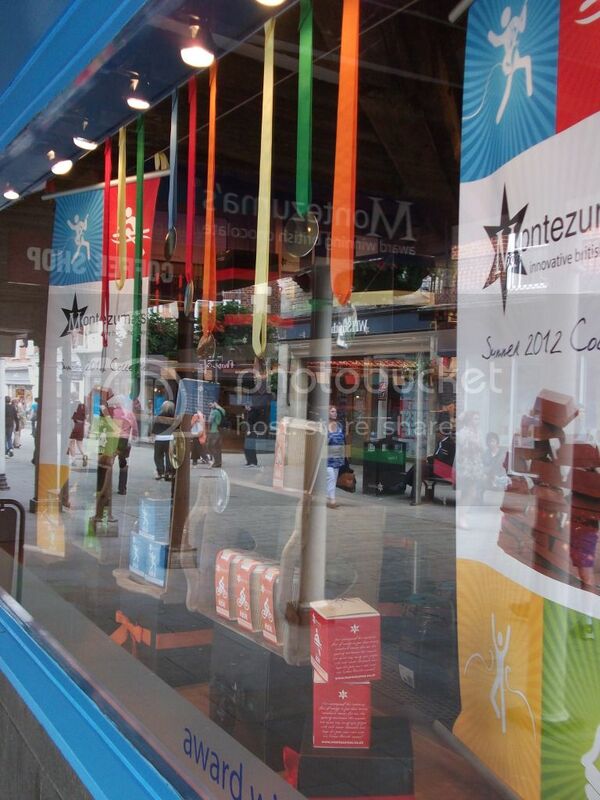 Even a chocolate shop is joining in with the sporting mood! Creative Crafts, the local place to go for paints, paper and all other art equipment, has made this fantastic window display. 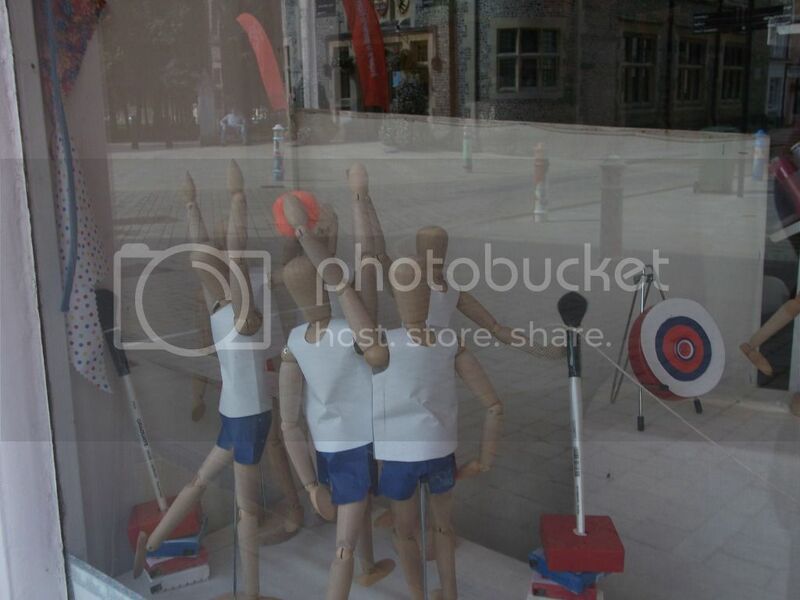 It depicts several Olympic sports as enacted by mini-mannequins, using only things which are available to buy in the shop. It's so clever and very cute. 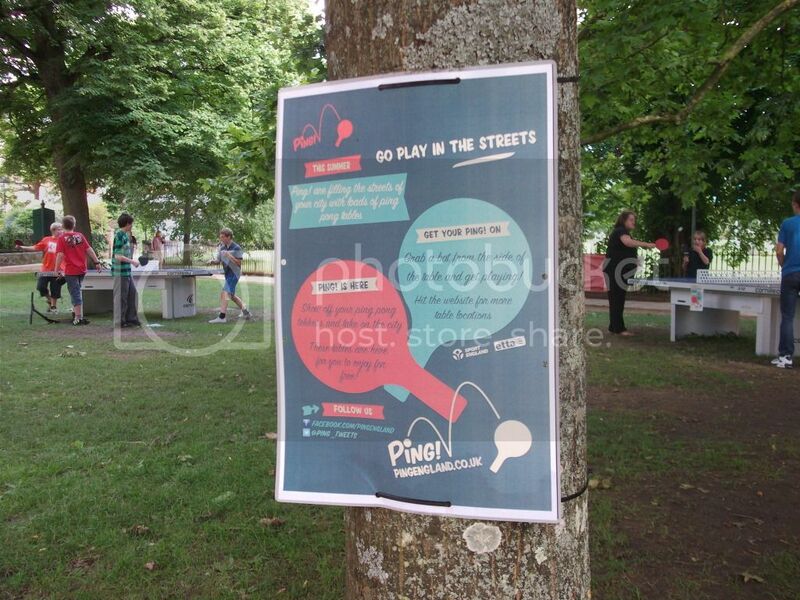 You can play ping-pong (or should I say wiff-waff?) for free in the cathedral grounds. Apparently there are more tables all over the UK. What a great idea! 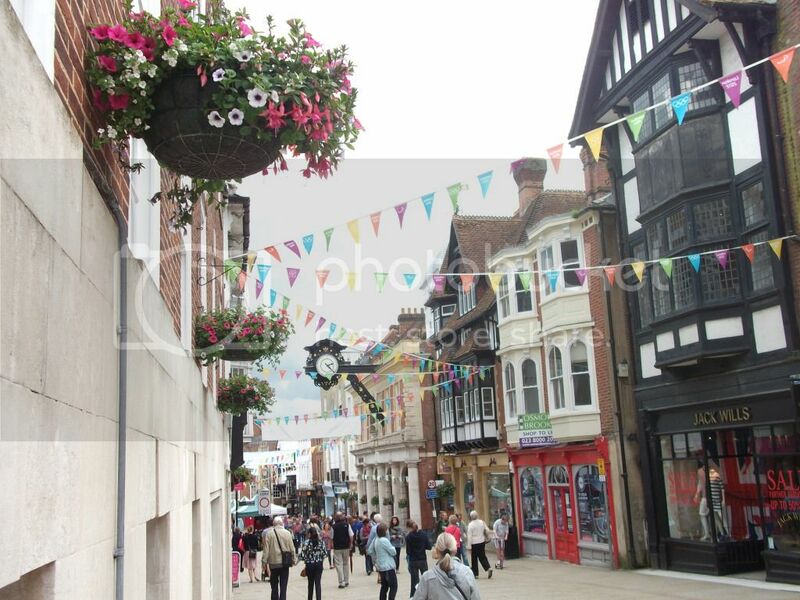 The avenue of trees leading down to the cathedral looks lovely all the time, but particularly with this colourful bunting strung through it and the sun shining down. Aaw wow! 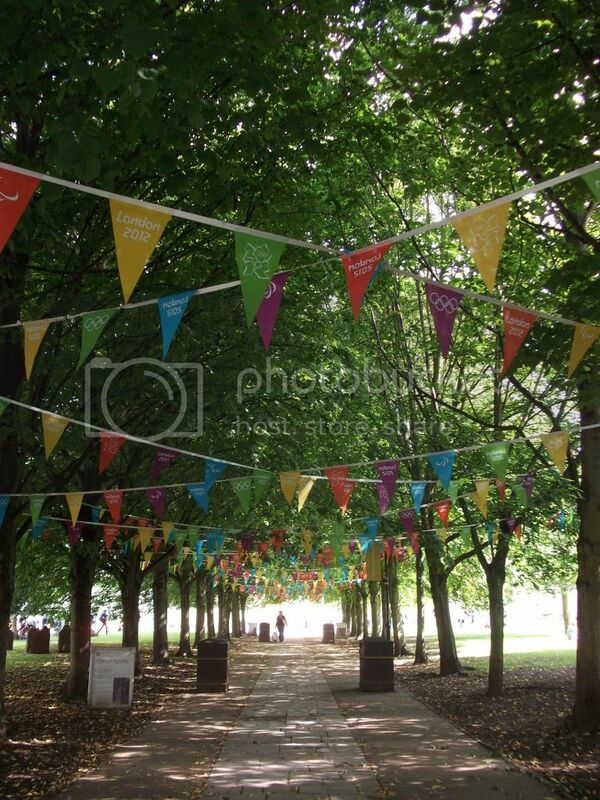 The bunting in the cathedral grounds looks gorgeous! I read that there's going to be a big screen up at the cathedral. I'm hoping I can pop along to the cathedral grounds for a picnic and watch it. 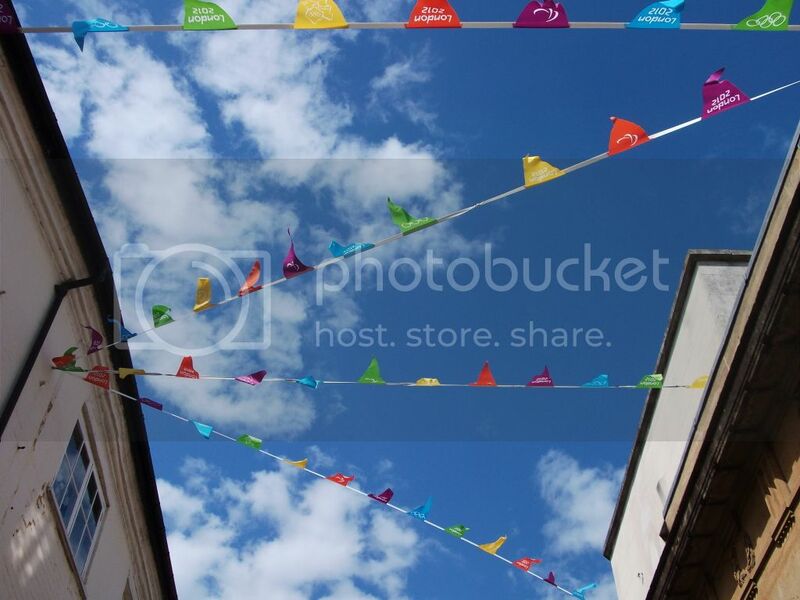 That picture of the bunting against the sky is beautiful.